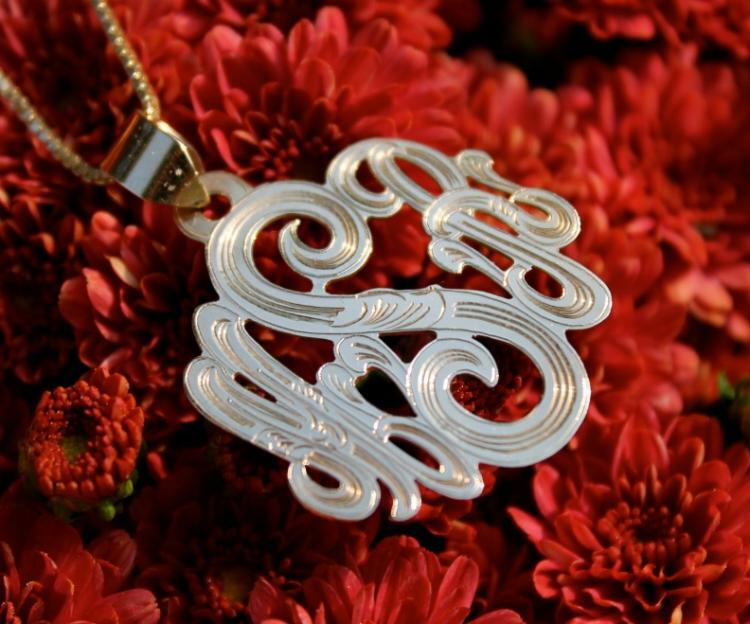 Monogrammed Necklace with hand engraving is all about the details this year. 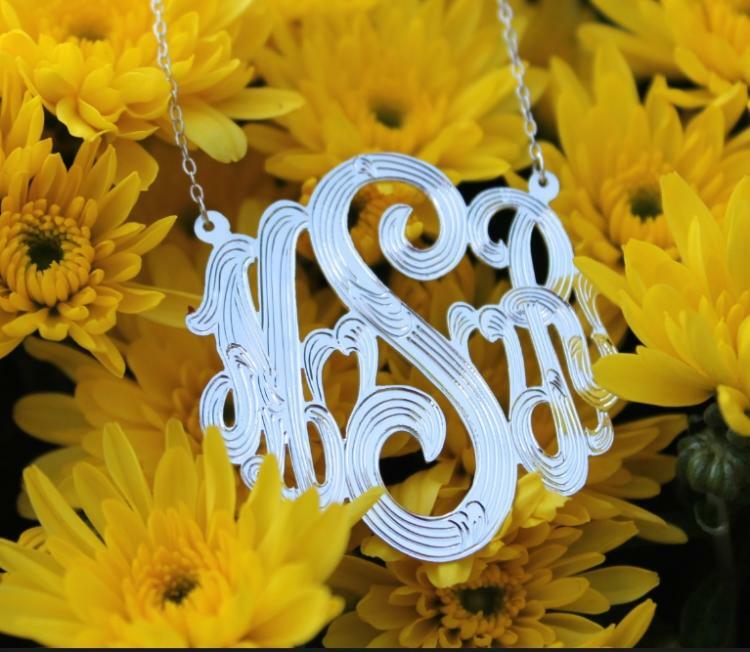 These hand cut personalized pieces have an extra detail with deep hand engraved designs that adorn the pendant. 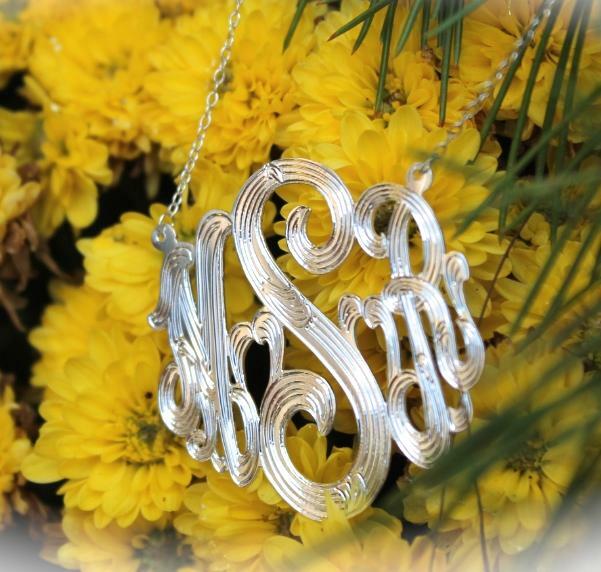 You may choose to have your necklace on a split chain or on a center bale. 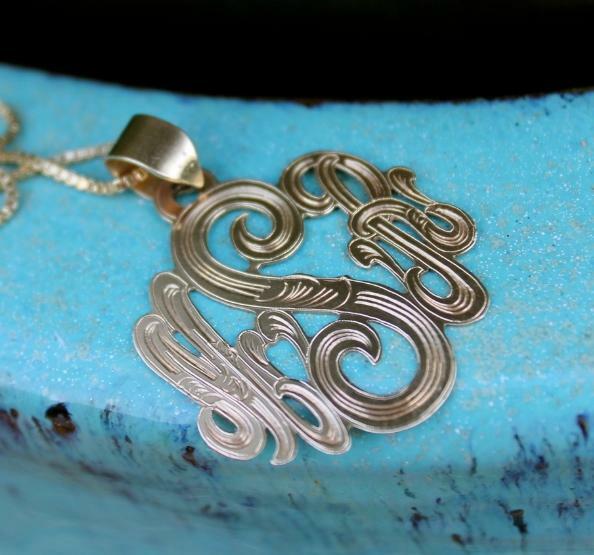 A chain will be included if you order your pendant on a center bale. We do offer this pendant in 4 sizes along with the metal choices. We have sterling silver, gold plated, and rose gold plated. Please notice we now have the option to upgrade to a heavier rollo chain for your necklace type. Images shown are the 7/8" on the center bale and the largest 2 1/4" on the center bale. Our sterling silver image on the split chain is shown in the 1 1/2" size pendant. See our complete line to personalize your look. 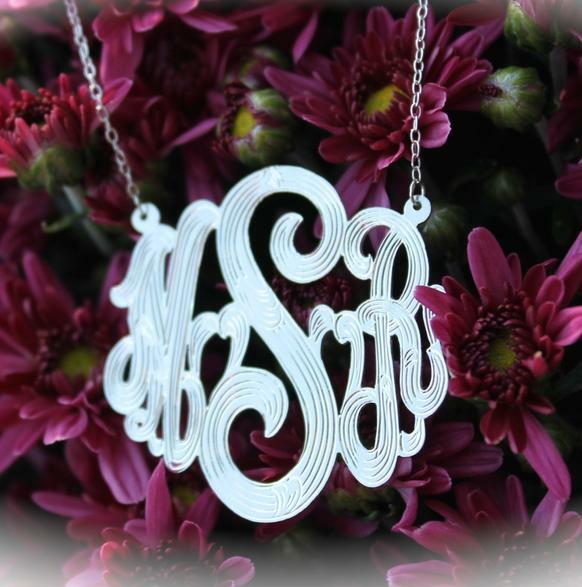 Please choose the size for the engraved pendant. The base price is for the 7/8 of an inch pendant and as you increase the size of your pendant additional price will add to your cart.